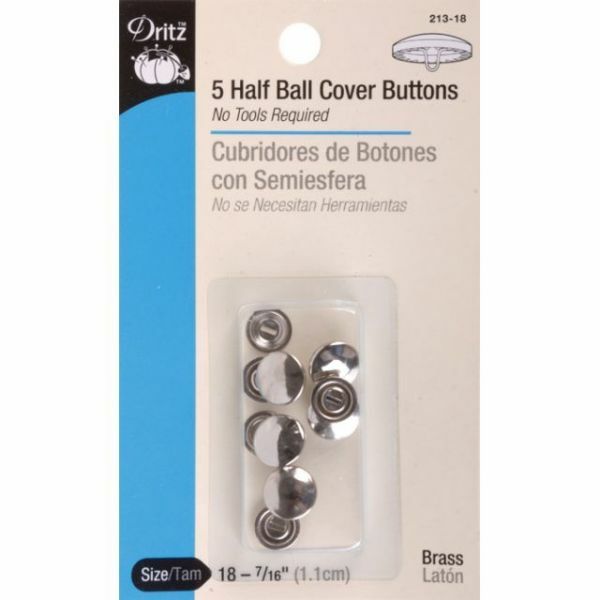 Half-Ball Cover Buttons - DRITZ-Half-Ball Cover Buttons. Perfect for clothing, pillows, craft and ornaments. 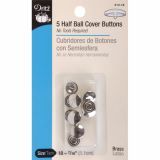 This package contains a metal or nylon button shell with shank and backplate that can be covered with almost any type of fabric. Sizes range from 7/16 inches to 2-1/2 inches. Imported.